One Love Theater is an exciting blend of dance, drama, circus, multimedia, music, and gymnastics. Providing free theater for audiences of all levels One Love performances serve as an effective vehicle for disseminating HIV/AIDS awareness messages because they have the ability to transcend linguistic, social and economic barriers. 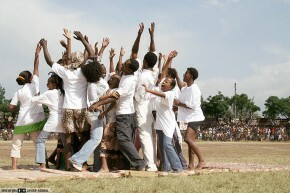 One Love is grounded in the creativity and imagination of its cast; the youth of Ethiopia. 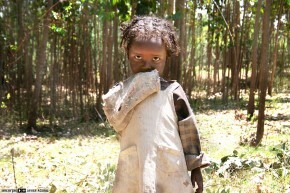 Despite laws forbidding the practice, Female Genital Cutting (FGC) remains and enduring traditions in Ethiopia. Political leaders have found FGC difficult to eliminate on the local level because of its cultural and sometimes political importance, meanwhile in some areas the 95% of women are still suffering the phycological and medical consequences.